A home is made for beautiful things, like bonding with the family or indulging in solitude. You certainly don’t want to be worrying about clogged sinks or finding drain clearing services, especially if you live in Carlton. Drain Solutions is a Melbourne-based plumbing company that serves not just homes but offices and business establishments all over the city. We are not your ordinary blockage clearing service. With over 40 years of experience in the plumbing industry, we offer tested and proven long-term solutions, which normally consist of two steps – High Pressure Water Jetting and Drain Relining. High pressure water jetting, produces high pressure water to push a blockage out. 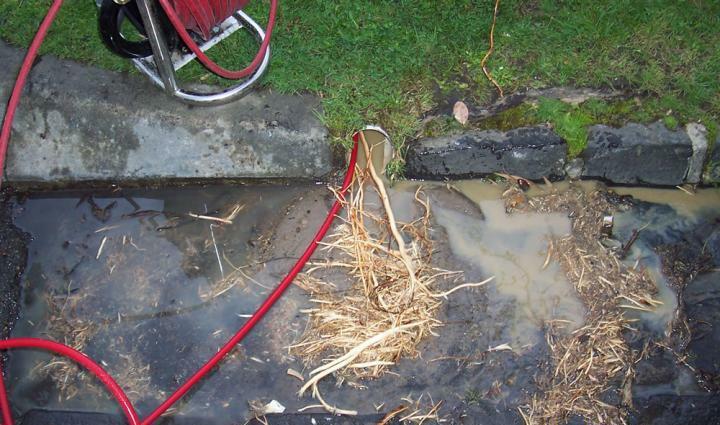 A water jet is installed at the tip of a jet hose, and with this setup, we can un-clog your sewer and storm water drains. Drain Solutions uses this technology to ensure your pipes are clean inside out and debris free, including from fat! Our water jetter also removes root intrusions and de-scales cast iron, providing thoroughly clean pipes are squeaky clean all through. Trenchless pipe relining is the answer to broken pipes that may be wreaking havoc on your plumbing system. As its name indicates, it does not include digging up and throwing away old pipes. Instead, with the help of our actual in drain camera inspections, existing pipes are simply lined with new ones so that everything works like new again – free of blockages or damage! Trenchless pipe relining is highly convenient compared to old re-piping strategies because it is quick, requires no excavation, and is even cost-effective. It’s no wonder that this technology is getting more and more attention! Whether it’s Hydro Excavation or Trenchless Pipe Relining, Drain Solutions can give you the best results, as we do with other services we offer in Carlton such as pipe unclogging, sewer toilet clearing, drain clearing and more. Call Drain Solutions today and let us help you live stress-free!